All too often delivered software is full of bugs and poorly performing processes. Unfortunately, uncovering exactly what has gone wrong and what needs to be done to correct it can be a difficult process. Focusing on J2EE, this innovative book will give you the tools you’ll need to recognize and correct AntiPatterns–bad habits of code and design. 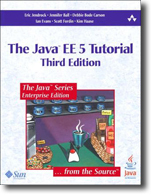 The authors explore the common mistakes that are made while developing J2EE applications and clearly show you how to refactor your way out of them. They first capture the AntiPatterns in a template that simply describes their symptoms and consequences as well as their typical causes. Then they guide you through the process of transforming the implementation of code to make the design better. 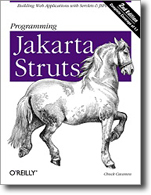 The companion Web site contains the code examples from the book. 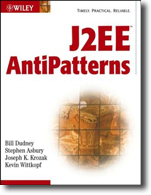 Guide to recognizing AntiPatterns in J2EE: bad habits of code and design. Explores the common mistakes that are made while developing J2EE applications, and shows how to refactor your way out of them.